Toptalers, freelancers, and remote professionals in Cairo: let’s get together and catch up. You are invited to join the local Toptal community and our guests for an informal gathering, February 9 at 4pm. 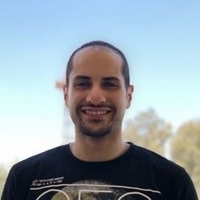 The event will be hosted by Youssef Sherif, a Toptal developer and Community leader for Cairo. All Toptalers and prospective members are welcome, so feel free to bring a guest. It’s a great opportunity to talk about Toptal and get to know your colleagues. Please RSVP on this page to give us an accurate headcount. For questions, please contact Youssef directly.